Isn’t It Time For Ice Machine Cleaning Service? The example above should explain all but if not, dirty ice machines are just unhealthy and make your ice taste bad! 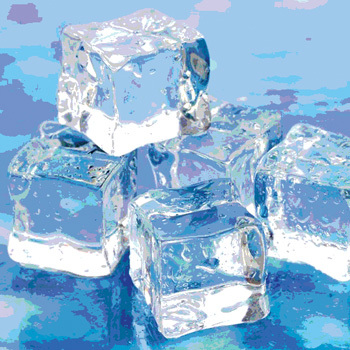 Also, every ice machine manufacture requires this for warranties and to maintain optimum performance. Performing a regular ice machine cleaning service and preventive maintenance on ice machines maintain the sanitary condition of your ice machine and guarantees the unit will work at peak performance and last many years. Preventative maintenance is something we all understand when it relates to our cars, but it can be sometimes the most difficult for our customers to understand so call us for ice machine cleaning service today. The Federal Food Code is the standard. Chapter 1 part 1-201.10 defines ice as food. This subjects ice to the same handling and cleanliness standards as everything else including manufacturing equipment. Ice falls under 40CFR141 governing drinking water purity. Food Law 2009 Chapter 4 part 602.11 section (E) item (4a and b) states that ice machine cleaning must be “at a frequency specified by the manufacturer” – e.g. Manitowoc (which ranges from 2 – 4 times per year) or “at a frequency necessary to preclude accumulation of soil or mold,” (which realistically should be at LEAST every 6 months). Ice machine sanitizing is governed by Chapter 4 part 702.11 which states that their surfaces must be sanitized after each cleaning. Annex 7 Form 2A, section 5 states: Federal law provides under the Criminal Fine Enforcement Act of 1984 for a fine up to $100,000 for a misdemeanor by a corporation or individual not resulting in death and, for misdemeanors resulting in death, a fine of up to $250,000 for individuals and $500,000 for corporations. The U.S. Centers for Disease Control and Prevention (CDC) also recommends that users of commercial ice-making machines follow the manufacturer’s recommendations for cleaning and sanitizing the machines……its a law! The biggest question we get asked for cleaning an ice machine is “how often should we clean our ice machine”? Manufactures vary with this answer but typically its every 6 months to a year at the minimum. With that being said, do not go by this answer! But why not? The quality of the water, the environment the ice is being produced, is there a water filter present and how often is it replaced, is the ice machine outdoors and the volume (sometimes) can affect this answer. Ark has many customers that have to get their ice machine cleaned quarterly because mold and mildew grow more rapidly than other customers. Yes, your ice machine may run great but what you don’t see is the problem. Your ice machine has covers and tubes to hide the unseen. This is pretty extreme example but believe it or not we see it all the time. So unless you take off the internal covers, you will not see what lurks in your ice machine. Even if you do remove the covers and peek around there are still many place where mold, slime and dangerous algae live. Did i mention calcium build up in the water tubes? Well to see those you must remove the tubes and look inside. Every time water passes thru those tubes they leave a little bit of calcium behind which adversely affects the performance of your ice machine. Calcium will also build up on components which measure thickness of ice, water temperature and other important items that will impede its performance. Chemical Cleaning is the most common and performed by most service providers and requires the least effort. Chemical cleanings are generally performed in between the recommended deep scale cleanings therefore the least expensive of the two and is the least thorough of the two. The procedure (per manufacture) is simply pouring chemical into the reservoir and the chemical is then ran through the system helping to break down the calcium build up and it is then flushed out of the system and through the drain. Though this type of cleaning is helpful for general maintenance, it does not thoroughly clean the entire machine. The cost for a chemical cleaning is around half the price of the deep scale cleaning which we will discuss next. Deep Scale cleaning is by far the most comprehensive and thorough cleaning that your service provider can perform. The process is labor intensive and requires most of the panels to be removed for access, tubes be removed to be internally scrubbed and all components thoroughly cleaned and inspected. Ark will almost exclusively perform deep scale cleanings unless the unit is cleaned quarterly. A deep scale cleaning will take 2 to 3 times longer than a chemical cleaning and all manufactures recommend this type of cleaning. This cleaning is also followed up with sanitizing all internal components and the ice bin is emptied and sanitized as well. If you want your machine to last 10+ years, deep scale clean your ice machine regularly. On our cars, we change the oil, put air in our tires, check the transmission fluid ect. This is to maintain the reliability and performance of our vehicle. Ice machines require the same type of care. Periodic maintenance on ice machines will assure that maximum efficiency and performance. It also reduces equipment malfunctions and will optimizes your ice production. Regular ice machine cleaning service will reduce mineral build up in the units components and it will affect how the unit performs. If ice machine cleaning service is not performed regularly, it can also cause blockage to key components and hinder how parts will work. Ice machine cleaning is recommended a minimum of every six months (or quarterly) for units that get frequent use and a minimum of once a year for ice machines that get light use. At Ark, we can offer the required customized preventive maintenance programs to fit your ice machine needs. Below is only a few of the recommended manufactures items we check during our ice machine cleaning process. o Cleaning of the entire re-circulation water circuit with ice machine cleaner. o Flush out of drain lines in the ice machine and bin areas. o Adjustment of water levels and controls. o Inspection of bin switch/thermostat operation. o Cleaning of air-cooled condenser. o Inspection and Correction of loose wiring if applicable. o Perform visual inspection for leaks. o Adjustment of ice machine for optimum performance. o Make recommendations and document findings. By Robert W. Powitz, Ph.D., M.P.H., R.S., C.F.S.P. Sixty years ago, an article on the sanitation of crushed ice was published in the Journal of the American Medical Association. The authors commented that an investigation of crushed ice revealed heavy contamination with coliform organisms. They opined that the contaminants can be introduced into crushed ice in many ways, chiefly by dust from the floors of freezing rooms, trucks and restaurants as well as by reusing soiled containers and through human hand contact. Of these, it was no small wonder that handling during dispensing was found to be the most prolific source. Continue reading here. Some companies, such as ICE-O-Matic, offer extended warranties at no extra charge when customers replace the filter in their ice machines every six months. Slime and mold growth are another concern with regards to commercial ice machines. Many commercial ice machines have antimicrobial protection built-in to the plastic used in the food-zone areas of ice production and are guaranteed to inhibit the growth of slime and mold for the life of the machine.